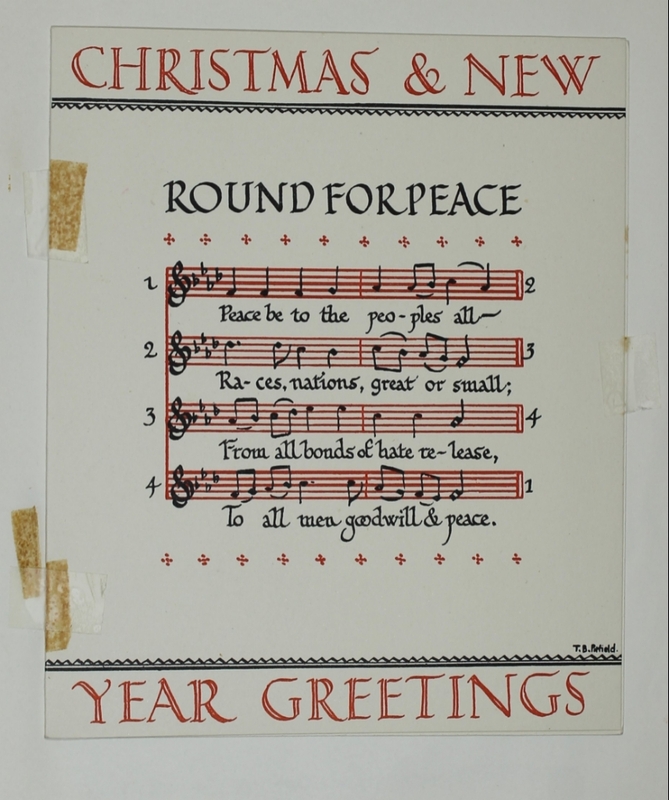 Something new to sing as you go a' carolling! Thomas Pitfield on true form with his beautiful signature calligraphy. 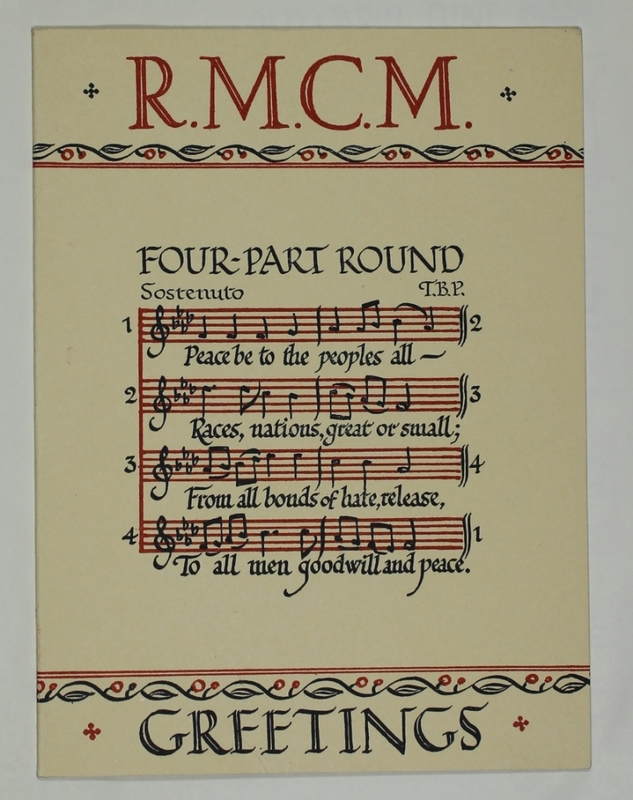 He then reissued it as a tailored Royal Manchester College of Music design.